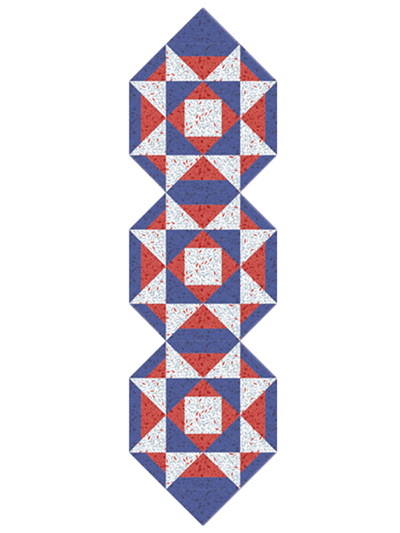 Show your patriotism with this stunning table runner! 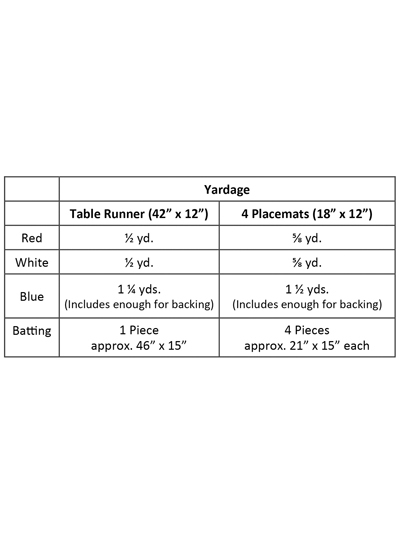 Decorate your table with this unique yet easy coordinating table ensemble! 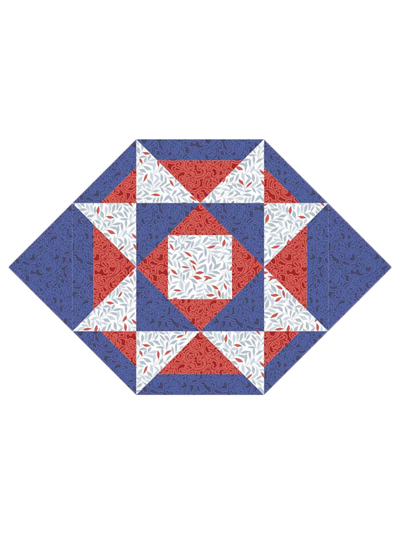 Quilt pattern includes directions for a table runner and four place mats. 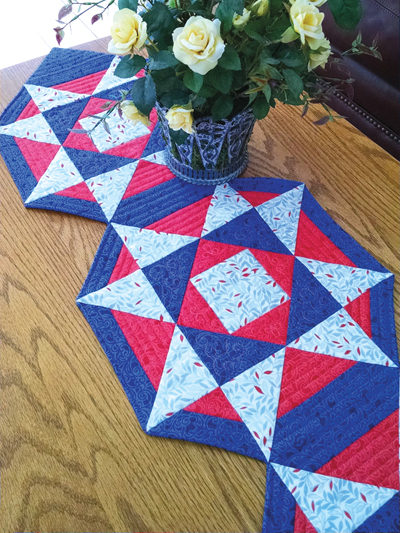 Table Runner: 42" x 12"
Place Mat: 18" x 12"